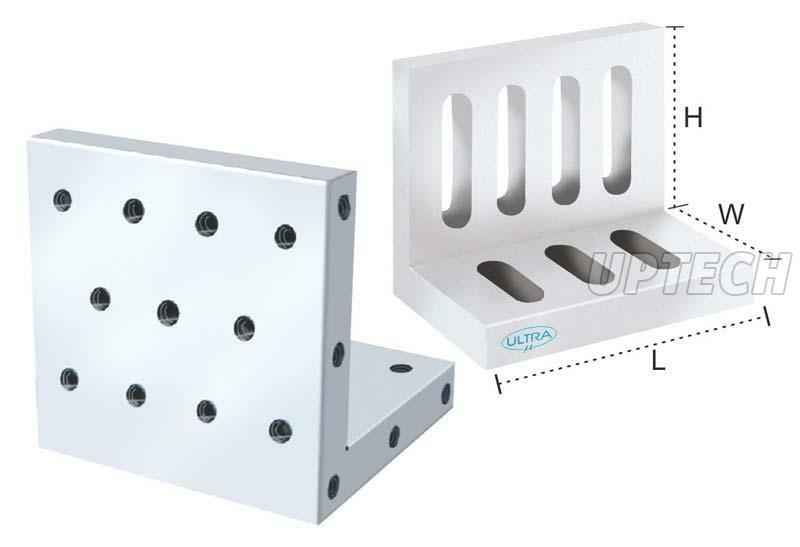 With precise range of accuracy for flatness, squareness, and parallelism, our Angle Plate (UL-309) is taking over the market. It is deemed to be an excellent inspection instrument when accuracy is desired for in right angle machining, tool room, and grinding. We are one of the acknowledged Manufacturers, Exporters, and Suppliers of Angle Plate (UL-309) from Maharashtra, India. These angle plates are invaluable for accurate work in tool room, right angle machining & grinding. Accuracy for square ness. Flatness & Parallelism is within 0.010 mm upto 150L & within 0.015 mm upto 300L. M6 & M8 tapped holes or slots are provided for clamping. Hardness - 60 + 2 Rc. Slotted Angle Plate On Request.